Stratton survives in the name of its Hall, which sits just to the east of Levington village, beside the road down to the Marina. Until the 19th century tidying up of archaic Church legislation, it was an extra-parochial, to all intents and purposes part of the parish of Levington, but not subject to the canonical jurisdiction of the Levington clergy. This may be because, before the Reformation, it was a parish in itself. Stratton church sat beside the road overlooking the Orwell estuary, about halfway between Levington Marina and the Ship public house. In the 1975 edition of Cautley, Blatchly tells us that the ruins were still plainly visible in the 18th century; and in 1844, White came across the foundations overgrown with trees and bushes. The field is still called Chapel Field. The dedication is lost to us, and nothing remains. 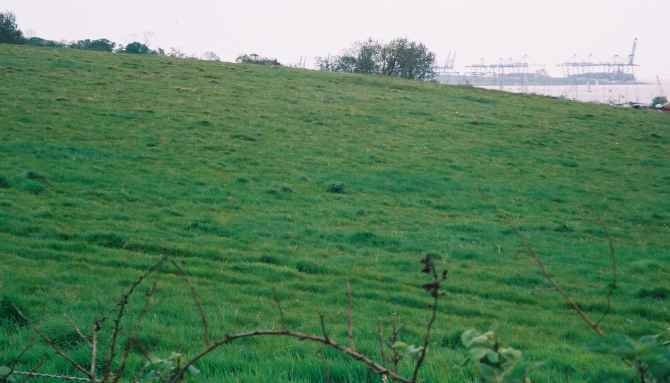 Blatchly suggests that a scatter of flints at ploughtime reveals its former presence, but this is romance. I could find nothing extraordinary, and, in any case, fields this close to the sea are full of flints. You stand in the silence of the lane, screened from the busy world by the low hills on which sits Levington Hall. To the south, there is a view of Trimley Marshes, the wide river, and the industrial docklands of Harwich and Felixstowe in the distance. On this spot, generations of men and women were baptised; their lives were sustained by the sacraments of Holy Mother Church, and when they died they were buried here. In the 19th century, skeletons were uncovered by deep ploughing. They had been laid in the rich earth that surrounded it. It is hard to imagine that it was ever here. To find Stratton church, simply continue along the lane from the Levington Ship towards the Marina. As you reach a dip between two crests, about 50m short of Stratton Hall, look towards the river. There it was.